It’s November 1st and that means it’s time to update my desktop wallpaper for the month. So of course I checked out Smashing Magazine’s monthly offerings! 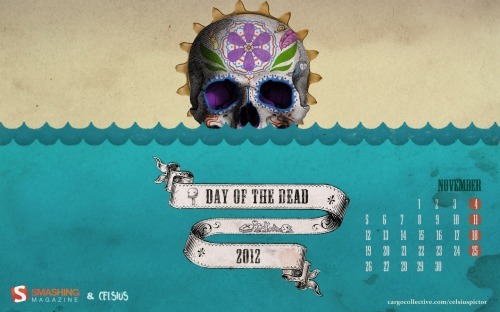 I chose this Dia de los Muertos theme. Love!